The Husky 1/4 in. 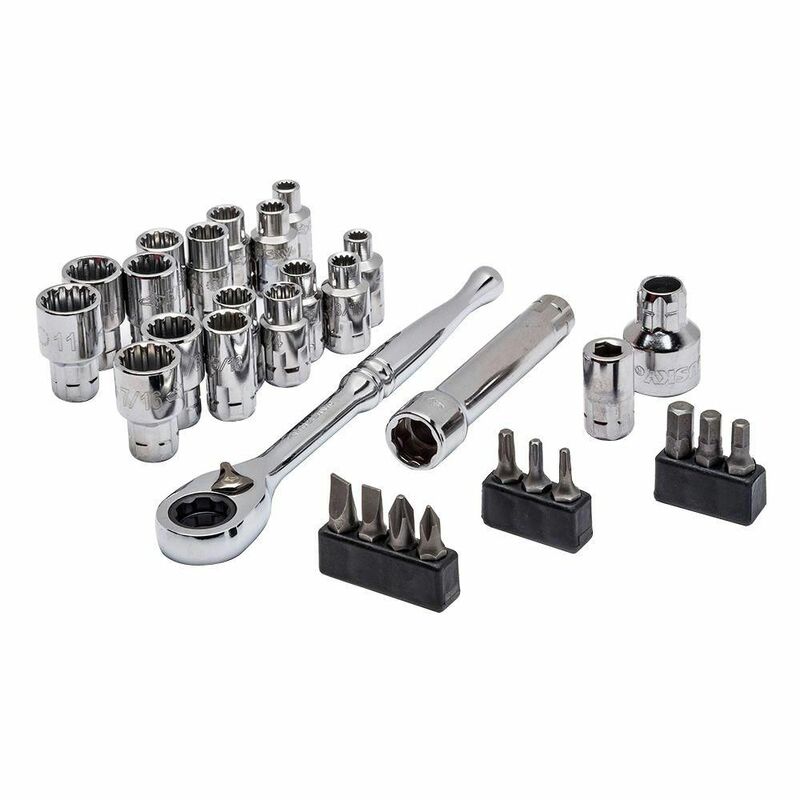 Drive, 30-Piece Universal through-Ratchet Set is made from durable alloy steel which provides durability. Thru Sockets allow bolts to pass through the socket eliminating the need for a deep socket. Universal sockets are able to fit on up to six different types of fastener heads. Sws Univ Pass Thru 30 Pc 1/4 Inch The Husky 1/4 in. Drive, 30-Piece Universal through-Ratchet Set is made from durable alloy steel which provides durability. Thru Sockets allow bolts to pass through the socket eliminating the need for a deep socket. Universal sockets are able to fit on up to six different types of fastener heads.